Clariant’s Catalysts business unit is a leading global developer and producer of catalysts for industrial processes. It has been part of the Catalysis business area of the Clariant Group since the acquisition of Süd-Chemie in 2011. Clariant Catalysts is headquartered in Munich, Germany, and has a total of 16 production sites (incl Joint Ventures), 7 sales offices, and 11 R&D and technical centers around the world. Approximately 1 970 employees serve customers across all regional markets. Aimed at delivering sustainable value to customers, Clariant’s catalysts and adsorbents are designed to increase production throughput, lower energy consumption, and reduce hazardous emissions from industrial processes. The broad portfolio also includes products that enable the use of alternative feedstock for chemical and fuel production. 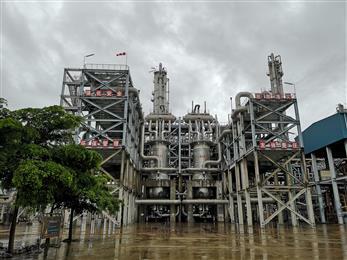 Methanol Production Plant of CNOOC Kingboard Chemical Co Ltd.